After winning a Junior Disc Jockey competition in 1962, Warwick began his radio career as an office boy at Radio 2CH in Sydney. 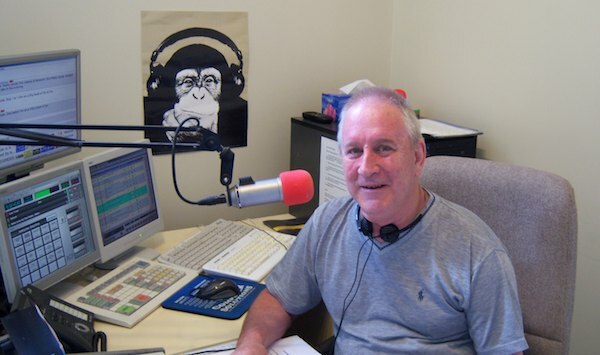 He then went on to work in numerous roles in Sydney radio. In 1997, Warwick relocated to Ballina and took 12 months off work to assist in raising his then newborn daughter. After a varied career, Warwick came to Paradise FM in 2001. Warwick’s hobbies include music (naturally), model trains, following rugby league (NRL) and spending time with his family. Warwick likes a variety of music but mostly 50’s and 60’s. Some of his favourite artists include: Frank Sinatra, Johnny Mathis, Barbra Streisand and The Beach Boys. In his spare time, Warwick enjoys travelling, concerts, cool weather, coffee, Thai food and dining out. Warwick’s dislikes include: hot weather, loud people, aggressive drivers and movies which contain violence and obscene language. Warwick’s ideal weekend is anything which includes spending time with his wife and daughter. He enjoys living in Ballina because it got him out of the rat race and allows him to breathe some fresh air. You can hear Warwick Manning Monday-Friday from 9am-1pm as he brings you “The Best Music of All Time”, and tune in on Saturday nights from 6pm for Saturday Night Jukebox.